Speculative positioning: Latest exchange data shows that there was little change in the net speculative position for ICE Brent over the last reporting week, with speculators buying 1,292 lots to leave them with a net long of 233,995 lots. However, the gross short position did increase for the first time this year, with shorts selling 13,349 lots. 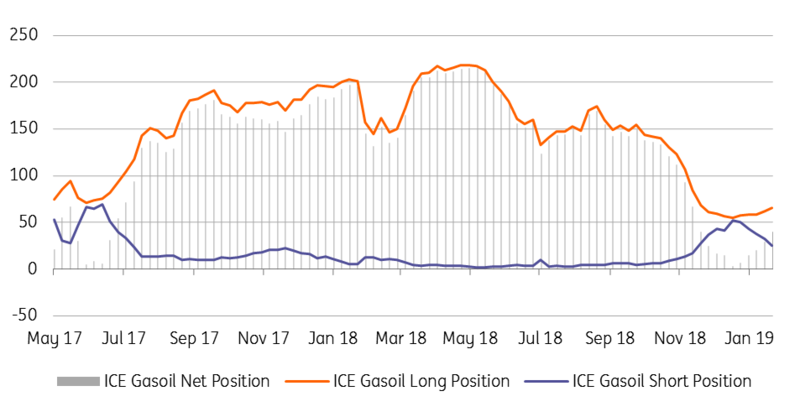 As for ICE Gasoil, the net speculative long increased by 10,440 lots, leaving speculators with a net long of 40,008 lots- the largest position since early December. The bulk of the buying was driven by short covering, with shorts buying back 6,975 lots over the reporting week. OPEC+ cuts: The UAE oil minister Suhail Al Mazrouei believes that the oil market will be in balance over 1Q19 as a result of OPEC+ cuts and says that the UAE is complying with the output cut agreement, with current production of around 3.07MMbbls/d. 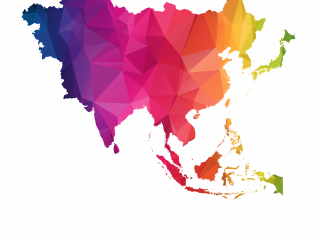 OPEC is set to release its monthly oil market report on Tuesday, which will include production estimates for January. This will be followed by the IEA monthly oil market report on the Wednesday. Dalian iron ore rallies: With China returning from the Chinese New Year, domestic markets are playing catch up with recent developments, and this is clearly evident when looking at Dalian iron ore futures, which have surged 8% so far in trading today. This follows news last week that Vale has had to suspend 30mtpa of capacity at its Brucutu mine in order to comply with a court order, and as a result Vale declared force majeure on some contracts. Chile copper supply: Heavy rains last week forced several copper miners in Chile to halt operations since Thursday, however were able to resume operations over the weekend. Codelco’s Chuquicamata, Ministro Hales and Radomiro Tomic mines, with a combined output of around 850ktpa were forced to suspend operations temporarily. WASDE report: The USDA released its first WASDE report since December on Friday, which saw the agency revise lower its estimate for global soybean ending stocks for this season from 115.3mt to 106.7mt- lower than the 113mt that the market was expecting. The decline was predominantly driven by a revision lower in US output, whilst expectations for Brazilian soybean output were lowered from 122mt to 117mt. Meanwhile, there were marginal changes in 2018/19 ending stock estimates for both corn and wheat.